Luxor's LCW computer furniture desk consists of a wood laminate work surface and metal frame. 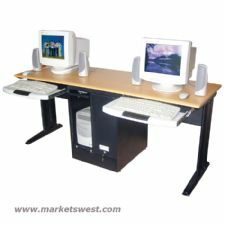 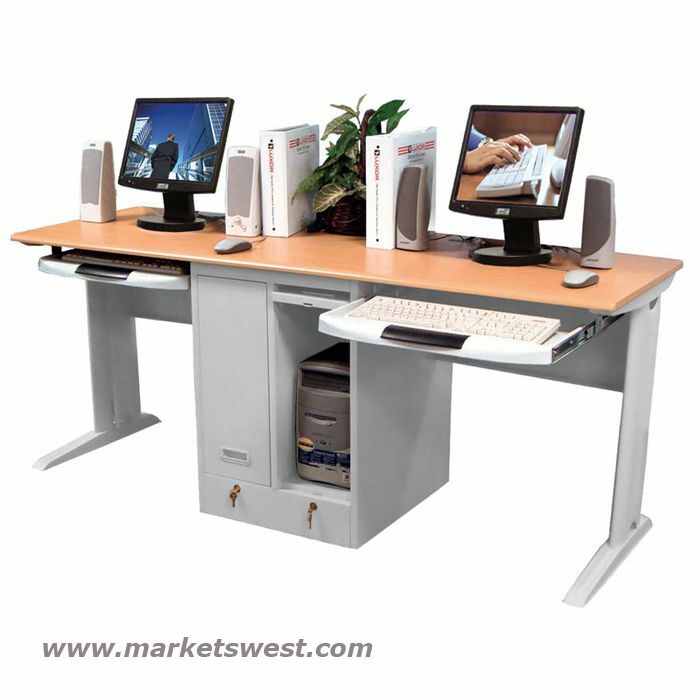 The LCW180 is a double person computer desk with two pull out keyboards and locking cabinet. 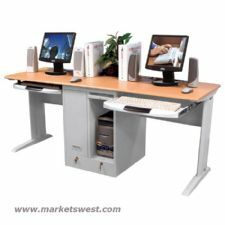 Optional one or two person work station.